Rejoice, SMT fans! 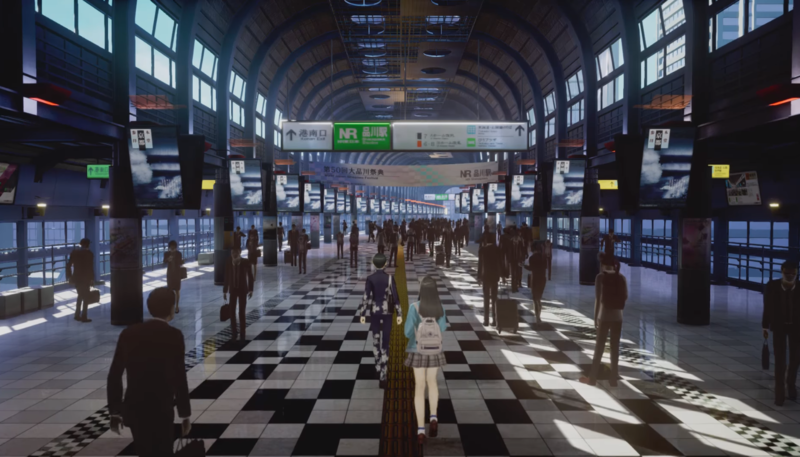 The teaser earlier this week has been officially revealed: Shin Megami Tensei V, the newest entry into the long-running JRPG series is coming to the Switch! After Shin Megami Tensei IV came out on the 3DS a couple years ago, many fans were wondering where the series was headed next, and now we finally have our answer! Shin Megami Tensei is Atlus’ flagship RPG series which has also spawned many spin-offs. A lot of people are probably more familiar with Persona series, which is a more lighthearted take on the SMT gameplay. The mainline SMT games focused on much darker themes, like the end of the world. Originally based on a series of novels called the Digital Devil Story, the SMT games laid the foundation for tactical turn-based RPG combat with a hint of Pokemon. Instead of having human allies who had their own unique entities to fight, the heroes of the SMT games summoned and conrtolled mythological beings and figures from just about every culture. This paved the way for some radical and imaginative monster design, which is what gave Shin Megami Tensei its unique flavor and charm. What’s just an interesting is what this means for the Switch. We’ve already seen Project Octopath from Square Enix for the Switch, which is, for all intents and purposes, the third game in the Bravely Default series. Considering Shin Megami Tensei IV was also for the 3DS, this could very well mean that developers are seeing the Switch as the successor to the 3DS. The Switch, with its upcoming and current game library, has effectively become the successor for both the Wii U and the 3DS which is pretty interesting if you think about it. So far the Switch is the only confirmed platform SMT V will be on, but keep an eye out for more news in the future.